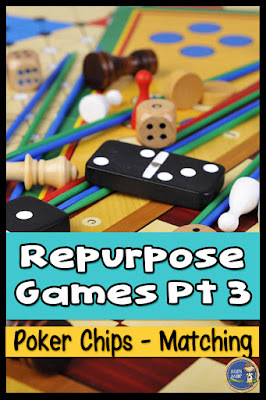 It's time for another round of Repurposing Old Games! If you haven't seen Part 1 - Shrek Board Game to Integer Adventure, you can find it here. Part 2 - Connect Four to Decimal 4 in a Row, you can find it here. Repurposing games saves you money and are really easy to do. 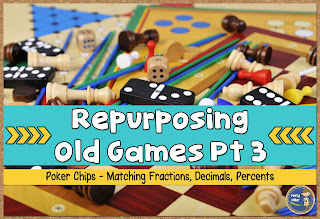 Your students will also enjoy a twist on an old game. Today I have a set of poker chips & cards that I picked up for $3 like new. There are so many things you can do with this set! 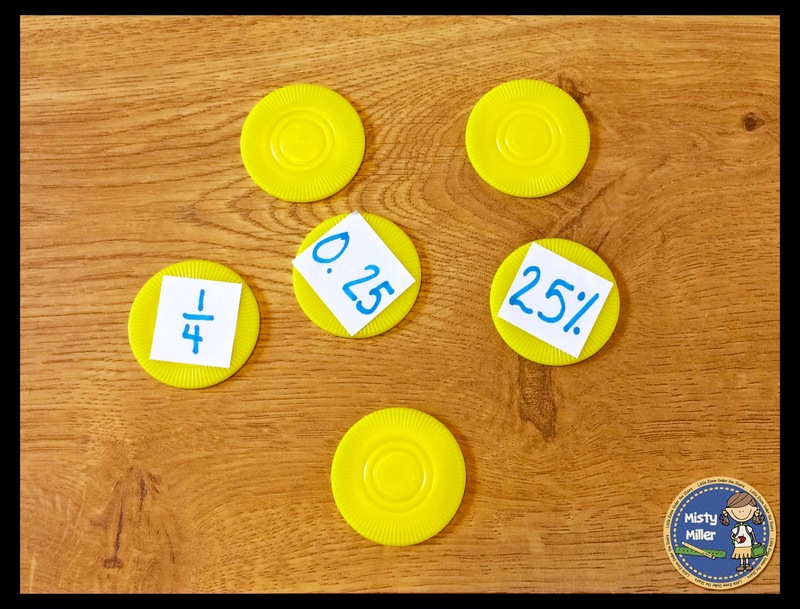 One idea is to create a matching game. 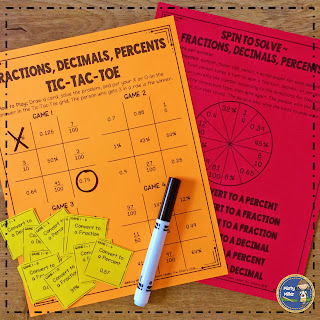 The skill I chose was converting fractions, decimals, and percents. 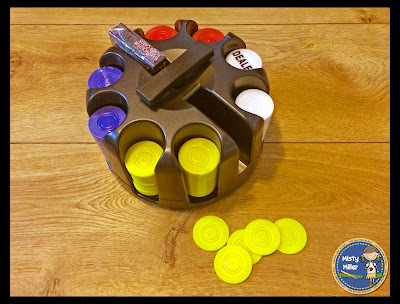 I wrote 2 pieces of the match per address label, cut them out, and stuck them on the poker chips. 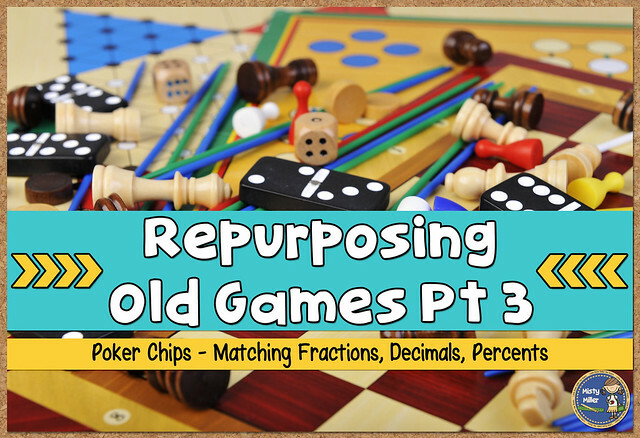 Once you have the matches set up, your students are ready to play. You can easily use different colored poker chips to differentiate for your students. This game is perfect for your math stations or math centers. Are you interested in other fraction, decimal, percent games? You can grab 2 free games below by joining my newsletter. Already receiving my newsletter? That's okay! Just submit your email below. 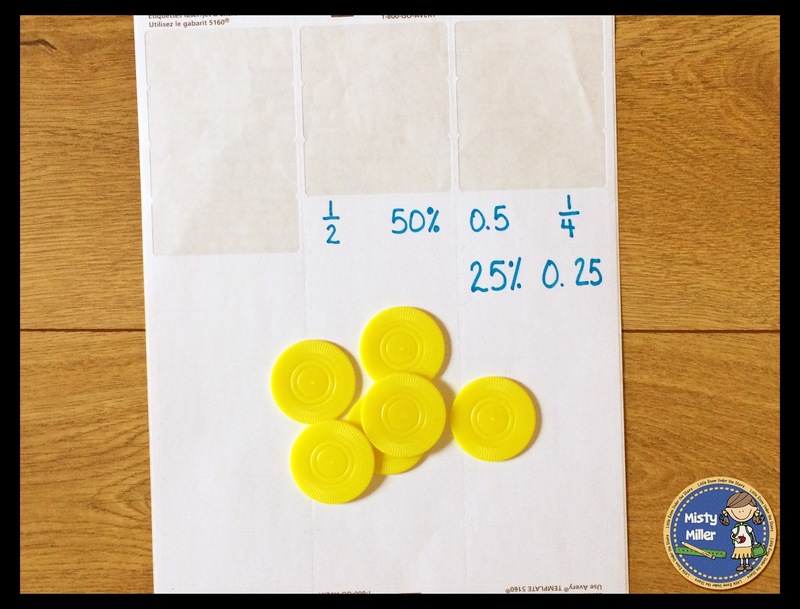 Poker chips are also a very good visual aid for adding and subtracting integers. I use red for negative and white for positive. 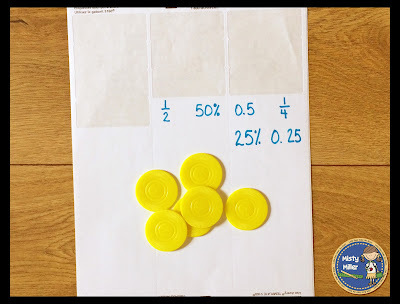 Great idea to use poker chips for integers! Thanks for sharing!